Ben Johnson has vowed to promote clean sprinting. Sometimes, though, you wonder if he wouldn't be better off taking a vow of silence. The retired Canadian sprinter, who lost his gold medal at the 1988 Seoul Olympics when he tested positive for steroids and was nailed with a lifetime ban after testing positive again in 1993, has a history of opening his mouth and promptly inserting his foot into it. He may have done it again this week when he told the BBC that he was the greatest sprinter of all time -- better than current world-record holder Usain Bolt. Asked if he would have been good enough to beat Bolt when he was in his prime, Johnson didn't hesitate. This isn't the first time Johnson has made claims like this. Last year, he said with today's technology he could have run 9.30 -- much better than Bolt's world record of 9.58. That's also almost half a second better than Johnson's own steroid-fuelled best of 9.79. It's possible Johnson might be right, though we'll never know because a) he's now 51 and time machines haven't been invented yet; and b) his times are all tainted by his admitted steroid use. That power he speaks of didn't come entirely naturally. Being better than Bolt wasn't the only topic Johnson covered in his BBC interview which comes as the former Canadian track athlete is being introduced as the face of a new anti-doping campaign. Asked if sprinting was cleaner today, Johnson simply said, ``The drugs are more sophisticated now." He also talked about encouraging athletes to stay clean and not venture ``down the same dark road I did." He was also adamant that he has been treated unfairly when other drug cheats have skipped the public scorn and shame that has surrounded him for a quarter of a century. 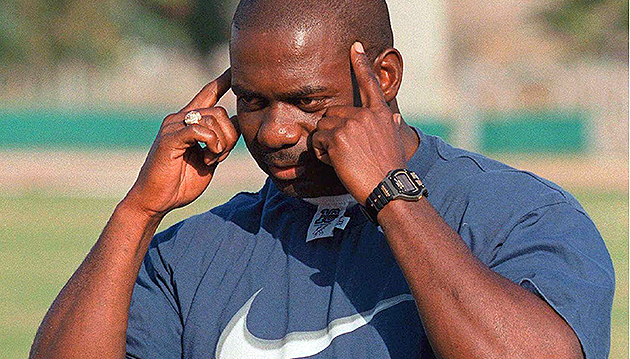 ``I took the blame for 25 years and other athletes who test positive still go out there, making a living, still travelling the world in sports and Ben Johnson is still suffering ..." he said. ``There's got to be a way of forgiveness or something has to be changed. I'm not the only one in the race who tested positive or used banned substance so why I'm the one taking the blame for everybody else?" Can't argue with that last point.